hard work, you can transform your body no matter what shape you’re in now. 1. Drink Water - Sounds simple enough, yet it’s so difficult for many of us. We learned back in grammar school that our bodies are composed of 70-80% water. We may carry our water bottles around town, but are we actually drinking any water? 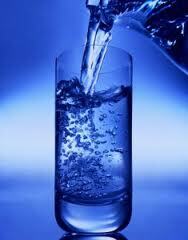 water it needs to perform metabolic processes. 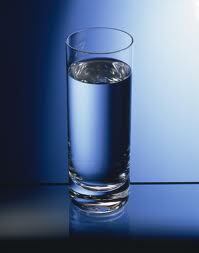 rule- drink eight, 8oz glasses of water daily, (about 1.9 liters). Get yourself a cute little water bottle and keep drinking. For a little flavor add some lemon or lime wedges. your blood sugar and will likely curb any cravings for sweets. 3. Start a Support Circle - Identify your cheerleaders and supporters, your friends who really want to see you shine and succeed. Maybe you have some friends with similar goals, team up with them. Maybe you do workouts together, or just have them their to support you during this process. When you have friends that are motivated to do the same thing, you see results much faster. Your friends and loved ones help you to be accountable to yourself, and remain true to the intentions you set. 4. Get up and Go!- Exercise during the mornings whenever possible. When you work out at the start of your day it decreases your appetite and stimulates the thyroid to burn calories all day long. Try power walking, jogging, swimming, or spinning in the mornings to start off your day, add some resistance training at the end of the workout to further stimulate the fat burning process. This might include push-ups, pull-ups, crunches, and squats. 5. Eat More! - Eat more meals throughout the day, that is. Start the day with a solid breakfast and eat smaller meals throughout the day - as many as 5-6 meals spread out to encourage stable blood sugar levels and a satiated appetite. When you eat smaller meals more often you are less likely to reach for junk foods. Eat whole and unprocessed fruits and veggies, making sure that you balance your diet with high quality lean proteins, green leafy vegetables, and complex carbohydrates. Pack healthy snacks for yourself to take on the go. 6. Kick Sugar to the Curb - Simple sugars enter your blood stream within minutes and have a harmful effect on the body, causing mood swings, weight gain, mineral depletion, heart disease, arthritis, among other disorders. with your goal for a trimmer waistline. . If you know you have a sweet tooth, try integrating sweet-tasting foods into your diet. Foods like sweet potatoes, pears, and cinnamon are soothing to the pancreas and can satisfy the body’s craving for sweet taste. 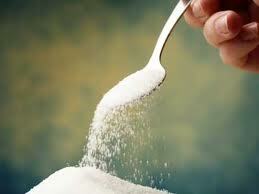 For healthier alternatives to sugar try the following sweeteners: Agave Nectar, Maple Syrup, Stevia, or Honey. 7. Keep it Fresh - I mean two things here: 1. Eat the fresh seasonal foods that are available, and 2. Introduce new and exciting dishes, and methods of preparation to your culinary repertoire. It gets boring eating the same old thing, prepared the same old way all the time. With the changing season try incorporating some new techniques and recipes that will inspire you to eat healthy and celebrate this new shift. A seasonal diet isn’t just good for you; it’s good for the planet too. Eating seasonal, locally grown food supports sustainable small-scale farming, promotes a natural growth cycle that improves soil quality, and reduces emissions from carbon-intensive greenhouse farms. 8. Keep it Lean! 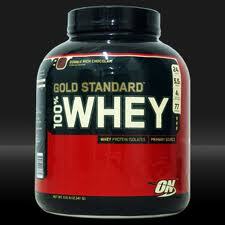 - When consuming protein cut back a bit and allow yourself 3-4 ounces a couple times a week. You don’t need to have meat at every meal, in fact, it should be treated more like a side dish than a main course. Eat lean portions of protein a few times per week and get adequate sources of plant protein to supplement your diet. 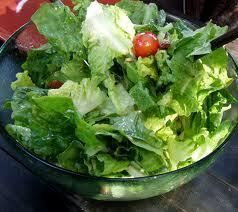 Some sources include: legumes, quinoa, brown rice, artichokes, beets, brussel sprouts, nuts, and seeds.